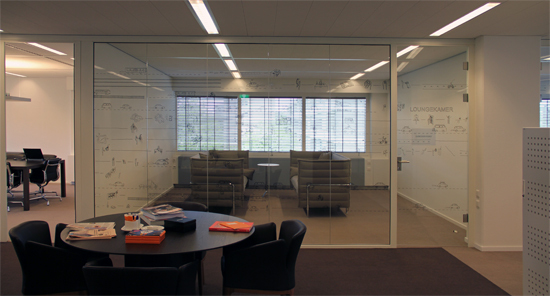 A 60 foot long illustrated mural on a glass wall in one of the Rabobank Headquarters in Utrecht. 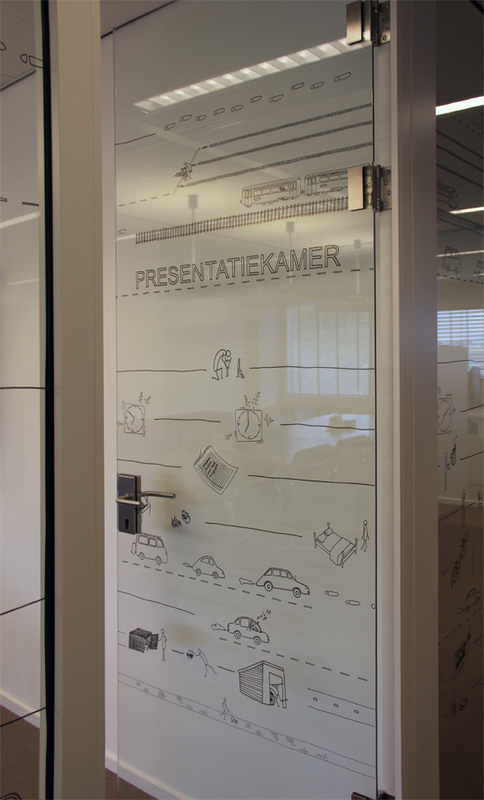 When I was asked to make ‘a design to decorate a glass wall’ in this bank office, I almost immediately decided to use employees’ private lives as my content. 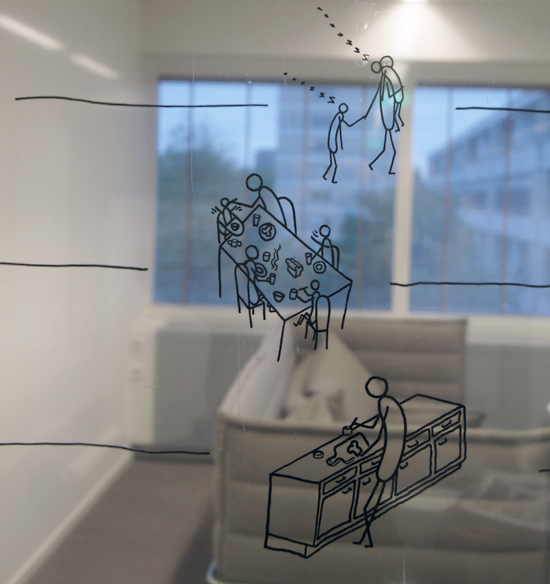 While physically creating a little bit more privacy by putting some kind of a filter between two spaces in the office, I, in reality, personalized the workspace by (anonymously) displaying small pieces of the employees’ private lives in my drawings. 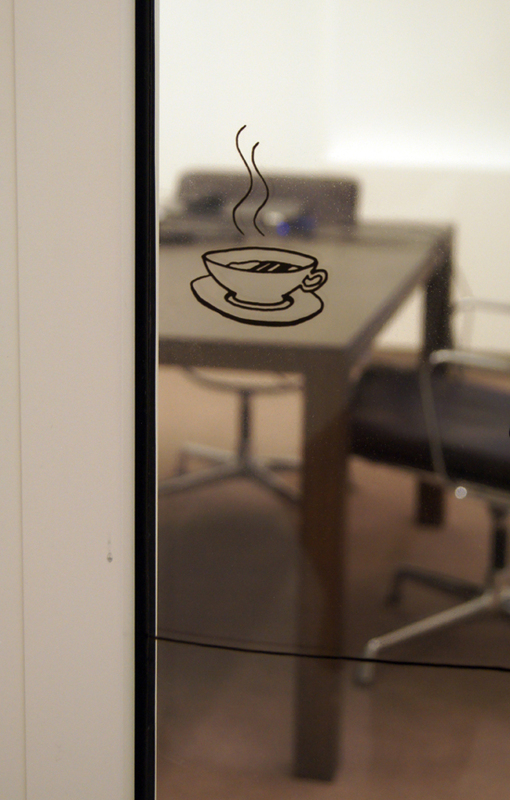 These illustrations create a timeline of their morning rituals: What did you do before you arrived at work today? Everyone’s morning is different, but their aim is the same: the Rabobank. 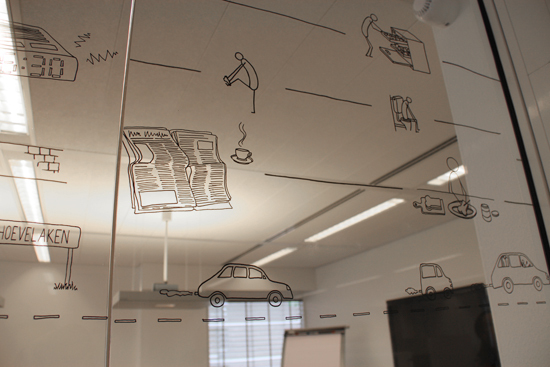 I hope this fresh element in their office will make everybody a little bit more curious about each others lives. 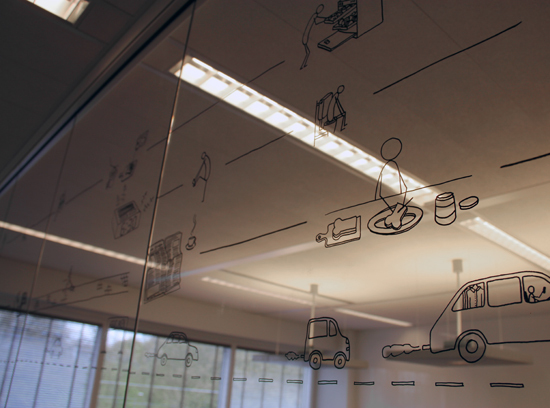 As it reads as a timeline, every horizontal line is telling one person’s story. Therefore all the things on top of each other happen at the same time in different houses in Holland of which the owners all work at the Rabobank. 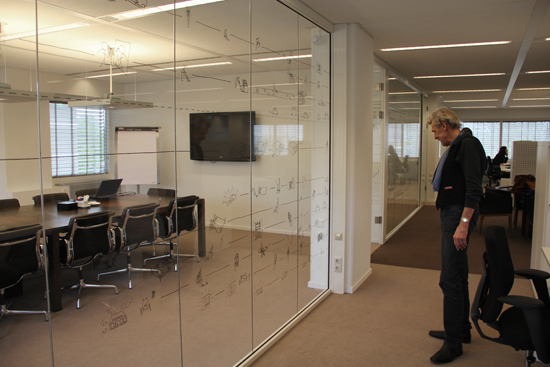 This door shows the events between 6:50 and 7:10 a.m.
My father is reading the visual morning stories of the Rabobank employees. Putting the films on the glass.